Let me begin by saying when it comes to the type of tires to use on a travel trailer or 5th wheel trailer I think there is a lack of information and understanding on the topic. If you head over to the RV forums and type in “ST vs. LT tires” be prepared for a good deal of debate and varying opinions. I can quite honestly say that regardless of how well this article explains the information lots of folks will continue to embrace their original opinions. It’s one of those controversial subjects like gas vs. diesel. 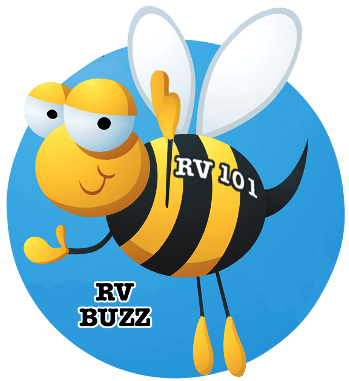 My goal with this article is to attempt to clear up some of the confusion on this topic so RV consumers can make an educated buying decision. Before going any further let’s take a look at what the ST and LT tire designations actually mean. ST tire designation: ST stands for Special Trailer tire. ST tires are designed for use on trailer axle positions only. They are not designed for the load or traction requirements of a drive or steering axle. ST tires have strengthened sidewalls to prevent the tire from rolling under the rim in turns and when cornering. All ST tires have a maximum speed rating of 65 mph. ST tires feature materials and construction designed to meet the higher load requirements and demands trailer towing presents. LT tire designation: LT stands for Light Truck tire. One definition at www.tiresafety.com defines an LT tire as any tire line or size which would typically be applied on a light truck (SUV, pickup, van). As such it could be an LT-metric tire for use on a one-ton truck or a P-metric ‘light truck’ size of a typical tire used on an SUV. Light trucks (pickups) and SUVs differ from standard passenger cars in their overall strength, load carrying capacity, center of gravity, and driveline complexity. For this reason, the tire options for light trucks and SUVs are often more complex than passenger cars. Factors such as load range, ply rating and sizes vary greatly from those of passenger car applications. These are just definitions to provide a basic understanding of what the ST and LT tire designations mean. Please hold back from any debate until you read the rest of the article. Now let’s dig a little deeper. At this point it probably makes sense to address each of these concerns separately. I would like to begin by saying I do not like the issues U.S. manufacturers are confronted with when it comes to dealing with Chinese made goods. The Chinese continue to devalue their currency, resulting in unfair trade practices, and in my opinion our government lacks in taking measures to prevent this from happening. Unfortunately RV manufacturers are extremely cost conscious and more often than not opt to use less expensive products in manufacturing units. Several years ago it was discovered that numerous brands of Chinese manufactured LT and ST tires had defects that resulted in premature tire failure. RV owners towing travel trailers and 5th wheel trailers were experiencing excessive tire blowouts and other tire failures long before the tire’s life expectancy was reached. It’s too bad, but lots of reputable U.S. tire manufacturers are producing tires in China to lower costs and remain competitive in the marketplace. But, these U.S. brand tires are built with the same quality and specifications a tire manufactured in the U.S. is built to. The defective Chinese tire fiasco, from say 2005 to 2008, left a bad taste with RV owners and many resorted to replacing their ST tires with LT tires. Despite my feeling towards all things Chinese, it seems that U.S. brand tires manufactured in China since 2010 have been fine. This does not however apply to any of cheap priced Chinese brand ST tires being exported to the U.S. When I talk about ST tire blowouts I am not referring to what we just discussed referencing the defective Chinese tires. In a nutshell most trailer tire blowouts are not a result of ‘bad or inferior’ tires, they are a result of one or more of the following conditions. Overloaded tires. Every tire manufactured has a load rating based on the tire’s inflation pressure. A tire’s maximum load is the most weight the tire is designed to support at the inflated pressure. ST tires have some of the highest load ratings. This is one of the reasons they are designated for use on trailers. Truck and automobile tires do not have to withstand the weight and stress that is put on trailer tires. The only way to know if a tire is overloaded is to weigh the trailer by individual wheel position. It is quite possible to weigh an axle and be within the axle weight rating, but when the tire positions on each axle end are weighed separately a tire rating can be overloaded. Over & under-inflated tires. Another culprit for tire blowouts is over & under-inflated tires. Failure to maintain the correct tire pressure for the load can result in fast tread wear, uneven wear and poor handling which can all lead to tire failure. Remember, the load rating for a tire is only accurate if the tire is properly inflated for the load. Under-inflated tires cause extreme heat buildup that leads to tire failure. Tire manufacturers publish tire load and inflation tables with information on the correct tire inflation pressure for the load. A big reason tires fail is they are not properly inflated for the load. The appearance of the tire can look normal on the outside, but the internal damage is not visible. Tires with internal damage caused by under- inflation can fail catastrophically without warning. One thought is to inflate the tires to the maximum ‘cold’ pressure found on the tires sidewall if you don’t know the exact load on the tires, or the exact weight of the trailer. This should not however serve as an excuse to not weigh the trailer. Improper weight distribution. When a manufacturer builds an RV weight distribution is critical. The weight from front- to-back and side-to-side must be carefully considered to avoid having too much tongue weight, too little tongue weight and/or too much weight placed on the trailer’s tires. The manufacturer did its job distributing the weight when the unit was built, now the RV owner must do their job by properly distributing any weight added to the trailer. Some tire overload conditions can be corrected by distributing the weight in the RV, but you still need to weigh the RV by individual wheel position to make sure there is not an overload condition. All ST tires are rated for a maximum speed of 65mph. When you travel at speeds higher than a tire is rated for it will eventually fail. The heat that builds up in the tire results in fatigue and tire failure. Here is some additional information taken from a Goodyear Tire & Rubber Company Product Service Bulletin, PSB #2011-13. This bulletin provides important information to help your customers obtain the best performance from “Special Trailer” tires. Please review the following important points with your trailer tire customers. Special Trailer (“ST”) Tires: Goodyear Marathon trailer tires are widely used in a variety of towable trailer applications and are designed and branded as “ST” (Special Trailer) tires. Industry standards dictate that tires with the ST designation are speed rated at 65 MPH (104 km/h) under normal inflation and load conditions. Based on these industry standards, if tires with the ST designation are used at speeds between 66 and 75 mph (106 km/h and 121 km/h), it is necessary to increase the cold inflation pressure by 10 psi (69 kPa) above the recommended pressure for the rated maximum load. Increasing the inflation pressure by 10 psi (69 kPa) does not provide any additional load carrying capacity. Do not exceed the maximum pressure for the wheel. If the maximum pressure for the wheel prohibits the increase of air pressure, then the maximum speed must be restricted to 65 mph (104 km/h). The cold inflation pressure must not exceed 10 psi (69 kPa) beyond the inflation specified for the maximum load of the tire. It is quite possible for a tire to wear from the inside out. What this means is you cannot see the tire’s internal wear and fatigue and without warning you have a blowout when you least expect it. I mentioned a moment ago that under-inflated tires cause excessive heat resulting in tire failure. The same is true of an over-inflated tire when it comes in contact with pot holes, curbs and other common obstacles found on and alongside the highway. 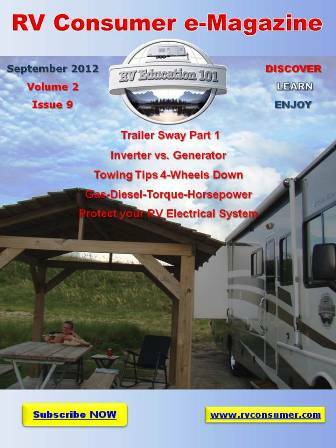 It is totally unrealistic for RV owners to expect ST trailer tires to last as long as P or LT tires do. ST tires are subjected to more weight, more sidewall stress and more user related tire issues, so it’s only natural they won’t perform as long as automobile tires. If you think about it, with the exception of defective tires, all of these factors that increase the chance of tire blowouts are within the RV owner’s control. If you take the steps required to avoid these tire related problems it is quite likely you will not experience abnormal tire blowouts on your trailer. I mentioned earlier that lots of trailer owners made the decision to switch from ST tires to LT tires for use on their travel trailer or 5th wheel trailer. Two popular and well built LT tires that come up in discussions as replacement tires for ST tires are Goodyear G614 235/85R16 and Michelin XPS RIB LT235/85R16E tires. If you make the decision to switch to LT tires I caution you to make absolutely sure the tire you choose meets the application criteria required for use on your travel trailer or 5th wheel trailer. Light Truck tires are not always the same size, and do not always have the same load carrying capacity as ST tires. Depending on your trailer’s axle weight rating the tire load capacity might be 3420# @ 80 psi for example. The Michelin XPS RIB LT235/85R16E tire load capacity is 3,042# @ 80 psi. If you switch to LT tires for trailer applications the tire inflation pressure and/or the size of the tires would need to be capable of matching the load capacities of the trailer. If the size of the tire is increased to compensate for load capacities there needs to be sufficient clearance for the larger tires. Cost can be prohibitive too when you not only consider purchasing new tires but larger wheels for the tires to go on. There are other considerations as well. One is that ST tires are designed for a limited amount of rolling resistance, whereas LT tire construction must address the tire’s traction attributes which can increase the rolling resistance. Tires have other ratings too, like Mud & Snow, Summer Tire, All Season etc. For example, Michelin XPS RIB LT235/85R16E tires are rated as highway summer tires, meaning they won’t perform as well in colder winter climates. It is my general consensus that brand name ST tires matched for the application and properly inflated, maintained and not overloaded are the right tire for the job. I personally only use Michelin tires on my automobiles and motorhome, but the tires are designed for the application. My point is if you are thinking about making the switch from ST to LT tires for use on your trailer don’t get caught up in marketing propaganda; look at the engineering and tire application facts before spending your money on the wrong tire for the job.